Let’s be real here. The stock headlamps are about as useful as a candle in a snowstorm - and that's being nice about it. The OEM headlamps leave a lot to be desired – the low output, super cheapo, USA-spec halogen bulbs coupled with a less-than-ideal reflector means your OEM lighting can leave you "in the dark”. 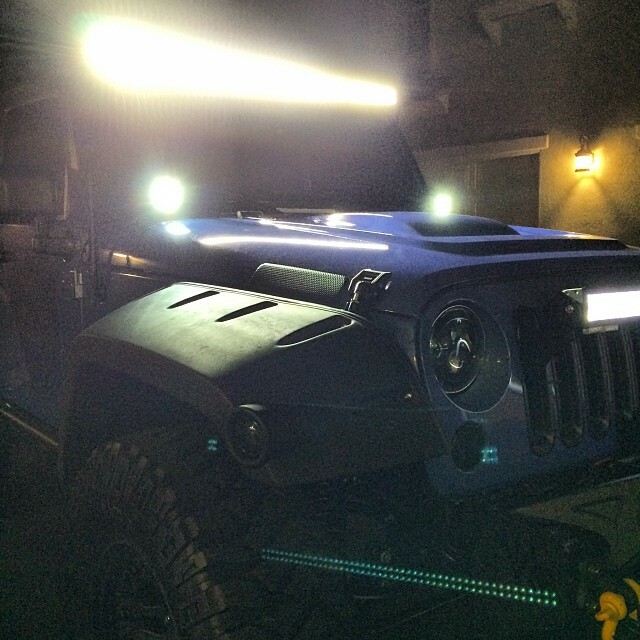 Here are a few great ways to upgrade the lighting system of your Jeep. 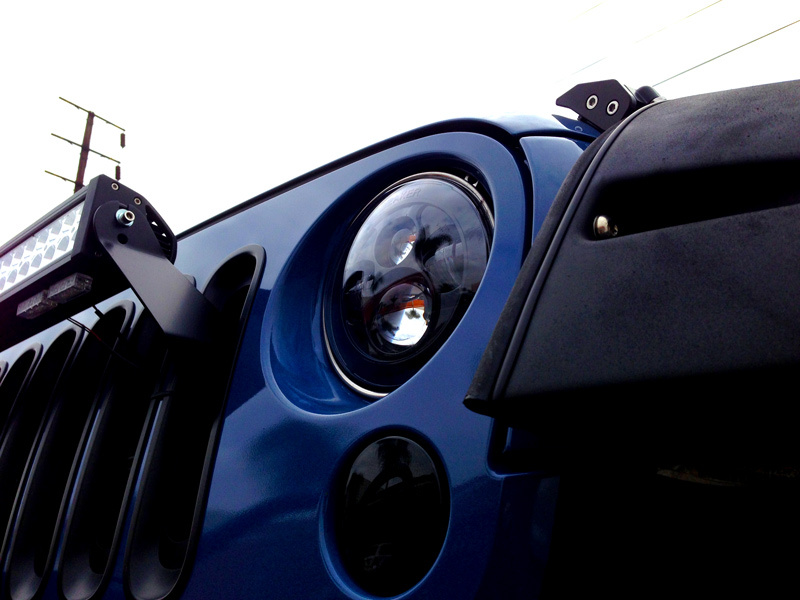 These absolutely stunning lookingJEEP LED headlightunits from JW Speaker are a functional and stylish upgrade and will improve your night time visibility. With 2700 lumens of output,JW Speaker 8700 Evolution Headlights for Jeep are the perfect 7? round headlight replacement. Lots of modern illumination is available, enhancing both your visibility to others, improves the aesthetics of your jeep and can even reduce electrical drain on your vehicle by upgrading to High Intensity Discharge and LED illumination. Your headlights are great, but out on the trail or on the dunes, you need every bit of light you can get to see every obstacle in your path, and not everything is illuminated from the angle of the headlights. 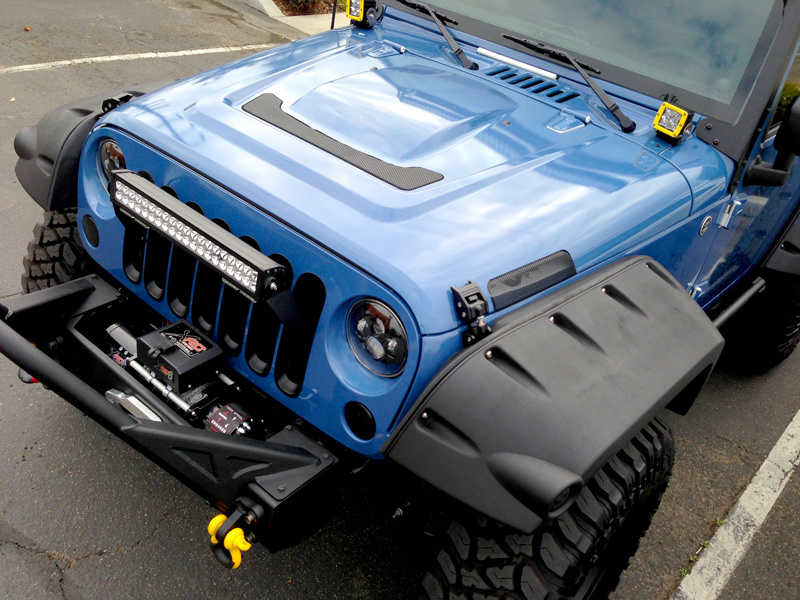 Light up the trail as clearly as day – or brighter – with LED light bars from Rigid Industries. With these bad boys, crawling the most rock laden trail will be easy on your spotter’s eyes as you light up the trail nearly well enough to land an airplane. LED light bars are not your daddy’s KC Dayliters where you needed an alternator the size of a keg just to power your lighting – today’s modern LED lighting is incredibly bright and low-draw compared to anything halogen.Kirk’s JKis fitted with a 18,000 lumen 50? LIFETIME LED Light Bar, a 7,200 Lumen 21.5? LED Light Bar and [2x] Dually XD Lights from Rigid Industries for another 6,272 Lumens – for more than 30,000 lumens thrown on the trail in addition to 2700 lumen headlamps. Can modbargains install my Jeep's Lighting Upgrades? Yes! We are European vehicle specialists and have quite a bit of experience with Jeep vehicles, so we're quite familiar with how to do it right the first time. We're located in SoCal in La Habra, just minutes from Disneyland. Since we regularly install Aftermarket Upgrades, we can perform installs the average auto shop just can't handle. modbargains offers a full-service automotive installer, dubbed ModAuto, - our service department is equipped with three BENDPAK lifts (Coming Spring 2014), an Alignment Rack (Coming Spring 2014) and even an AWD DYNOJET Dynamometer, our professional Modification Experts can handle any install. Call us at 714-582-3330 to make an appointment today!